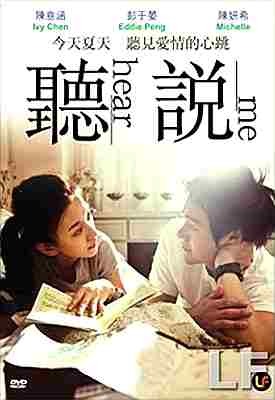 Hear Me (2009) is a romantic comedy that should make you simply happy. It's quirky, sweet, and innocent in a way that American romantic comedies no longer are. The story follows a handsome hard working delivery boy who falls in love with a cute deaf girl whose sister is preparing for a big Swimming competition. Although the film follows a pretty traditional structure (happy, sad, happy again), it is done with a distinct Asian sensibility of falling in love and just holding hands, meeting parents who are all so supportive and so on. This is a simple film, with great performances, that will make you smile. Is there anything groundbreaking there? No. But the chemistry between the two leads, and all the little things that happen to them is just so well woven together. At the end of the day, that's the strength of this film, and sometimes, you just want to sit, relax, and watch something genuinely sweet and nice. This film delivers just that.